Want to Find Yourself in a Sticky Situation? We offer decals for every application from static cling (oil change reminders, for example), to semi or permanent adhesive. 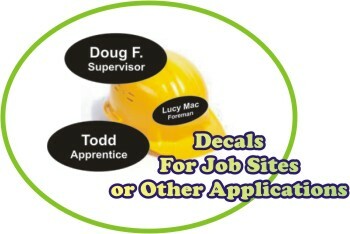 Glass, plastic, hard hats - you name it, we can do it! Stickers can be fun way to give a reward for a job well done in the dentist's chair, a good grade in school, or a walking billboard for your company at the fair! 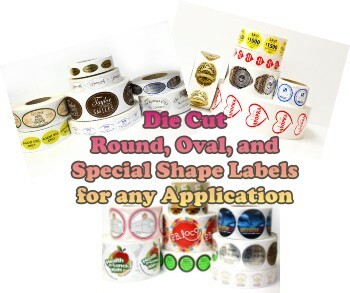 Labels (a fancier term for the same product) are a handy way to update a brochure in order to announce a special event or change contact info. They can also be a colorful way to add a message on an envelope (like an anniversary for your company). gold, silver, white, color, square, rectangle, circle or a house - your imagination is the limit! 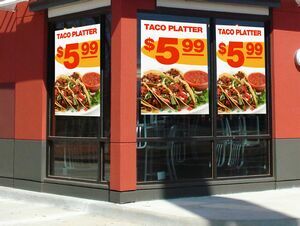 Cut Vinyl turns your storefront windows, your glass door or your vehicle into a custom advertisment! It can quietly offer the same information your best brochure does, like name, hours, and the services you render, or it can yell out in traffic that your company is available and ready to roll up its sleeves! Let Lancer Ltd. round out your marketing efforts by drawing attention to your business 24/7. Fill out the short form below and a representative will contact you about your questions!